An orthodontist is a dental health specialist who focuses specifically on diagnosing and correcting issues with tooth, jaw, and bite occlusion. As an orthodontist, Ciro Cabal, DDS, MS graduated from dental school with a doctorate in general dentistry, and then completed two years of specialized training in the field of orthodontics. To maintain his specialist certification, Ciro Cabal, DDS, MS takes a variety of continuing education courses every year. Brackets are the parts of your braces that are semi-permanently bonded to your teeth. 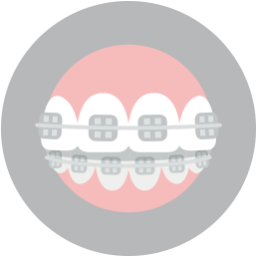 Self-ligating brackets eliminate the need for elastic bands to create pressure for tooth movement. The special brackets feature a sliding mechanism, so your teeth can move more freely. 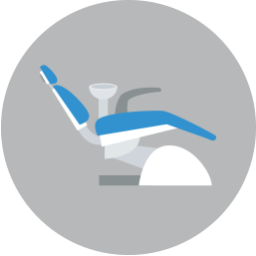 In addition, self-ligating brackets are easier to keep clean, which reduces your risks of experiencing tooth decay or gum disease during your orthodontic treatment. 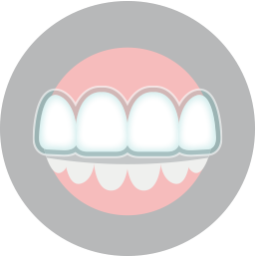 Occlusion refers to how your upper and lower teeth come together when you bite down. The bumps and ridges on top of your teeth should fit together comfortably with their opposites. When teeth are out of position, the malocclusion can cause your jaw muscles to spasm and your teeth to clench together—conditions known as TMJ disorder and bruxism, respectively. Orthodontics corrects the position of misaligned teeth to restore proper occlusion, and is an important part of your oral health and bite function. When should children first visit the orthodontist? Your family or pediatric dentist will recommend an orthodontic consultation, if necessary. You should know, though, that your child’s tooth development has great influence on when braces should be prescribed. Interceptive orthodontics can give your child a jumpstart on proper tooth alignment, reducing the risks of needing more extensive orthodontics later in life. If you have more questions about our practice or services, then speak with Dr. Cabal and our team during your visit. To schedule your free consultation, call our office today at (817) 236-7846. Located in Ft. Worth, TX, our office proudly serves patients who live in White Settlement, North Ft. Worth, Springtown, Rome, Haslet, Azle, Saginaw, and all surrounding communities.